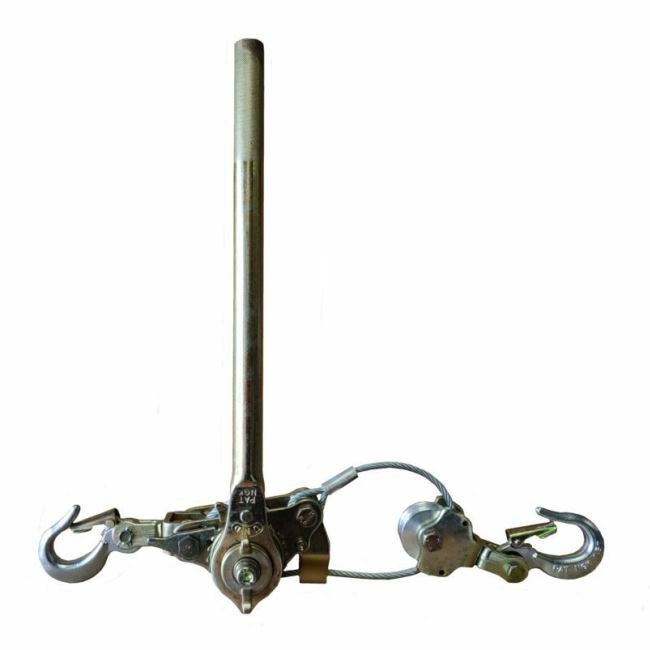 This 1500kgs Ratchet Cable Tensioner has been designed specifically with wire pulling in mind. The compact and portable design means that this type of tensioning device is both lightweight and easy to use. In this ratchet cable tensioner, the working wire is 6mm thick and has an optional length of 2.3m when fully extended. And is capable of working to a top load capacity of 1500kgs. The wire that is to be tighten is attached to the lower hook by a cable grab. Once this is in place, then by moving the lever up and down either tightens up the wire rope, or will loosen of the tensioner. You will find that when compared to other ratchet tensioner brands on the market, that this one has more safety features includiing the automatic mechanical brake and change pawl.